This October saw the eighth expedition of Biosphere Expeditions’ annual coral reef survey of the Musandam Peninsula. Fifteen divers from all over the world (Canada, France, Germany, Oman, the UK and USA) spent a week of their holiday time to assist with reef conservation in Oman. Diving two or three times a day, they conducted surveys all over northern Musandam. Indeed, successful marine conservation efforts will always include the local fishermen. History has shown that the most successful marine conservation areas are those that are created bottom-up, with the help and acceptance from local fishermen and communities, rather than top-down governmental decisions that are not understood or accepted on the ground, and therefore often ignored. “With a bottom-up approach, the chance of everyone winning is so much higher than with top-down, where often everyone loses”, conclude Drs. Solandt and Hammer. Below is a selection of expedition pictures, as well as a video. We’re back in Dubai, Tessa’s and my pictures below have been uploaded to the Pictureshare site, lots of new fish videos are now on the indicator playlist, and there will be a press release about the expedition’s results tomorrow. It has been a great week with an AWESOME team. You could have gone to Dubai just to shop, or on a lazy diving holiday or whatever, but instead you decided to put your time, energy and money into helping coral reef conservation. Thank you so much for this. And thank you to Jean-Luc, the crew of the MS Sindbad and everyone else who helps to make this expedition a success. We could not do this without you. Safe travels home and I hope to see you again, some day, somewhere on this beautiful blue planet of ours. We’re back in Khasab harbour and we’ve basically checked the hell out of the Musandam reefs over the past few days. We were hold hands from France and Oman, as well as new Reef Checkers from Canada, Germany, Oman, the UK and USA. After a five-hour drive from Dubai to Khasab we went straight into our two intense days of training. All passed – even Rolf who was down with the lergy in his cabin, where he swotted away assisted by Angela. When he did surface, he still passed the tests with flying colours. Well done everyone! Then it was into three days of checking the Musandam reefs all over the place – seven surveys in total! In the end we worked like a well-oiled machine. So much so that we could even cope with all whimp staff dropping out: Tessa with a cold from sitting in the air-condition blast too much, Matthias with a tooth ache and, most honourably, Jean-Luc, who was attacked by a needlefish during a night dive. It punctured his wetsuit and lower leg. Nothing too bad, but an impressive bandage anyway. Serves him right for waving his light around at the surface where they are out to hunt at night! But all jumped into the fray. Patrick as half-naked SMBer par excellence, Patti as substrate queen, Elaine as diction champion, Lori & Jon as awesome! Reef Checkers, Ali & Waleed as the very interesting local connection, along with remarkable Jenan & Tanya, and unmistakably Mancunian Andy…. All well in Dubai. Sunny skies, 30 degrees C, all ready for you. I hope you are well rested and prepared. It’s going to be intense. Some of us are meeting in the lobby of the Holiday Inn Express at 18:00 to go out for dinner. Join us if you can. If not, I will see you tomorrow at 08:00 in the same place. I am in London now for meetings, one of which was about the Omani government’s plans for Musandam and marine protected areas there, and how we can help in their establishment and designation. Things are moving and we are delighted to be involved. Meanwhile a good, informative article has appeared in Muscat Daily, summarising the work of our 2015 expedition and the threats the Musandam reefs are facing, and what can be done to safeguard the reefs. Keeping Musandam on the public agenda in Oman is part of our strategy and one of the reasons why we publish press releases about our work. Tomorrow I will board a flight to Dubai to set up the expedition, a couple of days ahead of you. I have not heard from anyone who cannot make the earlier 08:00 assembly, so I will see you all in the lobby at that time. Those of you meeting us in Khasab, please also be there an hour earlier, so 11:00 instead of 12:00 noon. I will write again from Dubai with a quick confirmation of my local phone number. Safe travels and see you on Sunday. Hello and welcome to the first diary entry of the 2016 Musandam expedition. I am Matthias Hammer, the founder & executive director of Biosphere Expeditions, and also your expedition leader this year. I will work alongside our chief scientist Dr. Jean-Luc Solandt. This year is an exciting year to take part in the expedition. Things are happening in terms of strategic thinking, including protected areas and national parks, in Musandam and Biosphere Expeditions and the data we have collected over the years is very much part of this process. 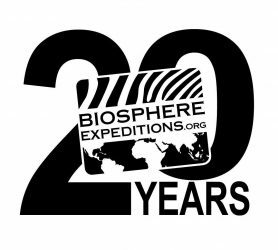 A lot of the information is still confidential, so not for this forum, but suffice it to say that we at Biosphere Expeditions are excited about what is happening and proud to be part of the processes. And so should you as what you have done and are about to do is very relevant. More on this on the ground when we all meet. But before this, some admin things: First of all, I would like to make the assembly time on 23 October to 08:00 (instead of 09:00 as per the dossier) to give us more time on that day. 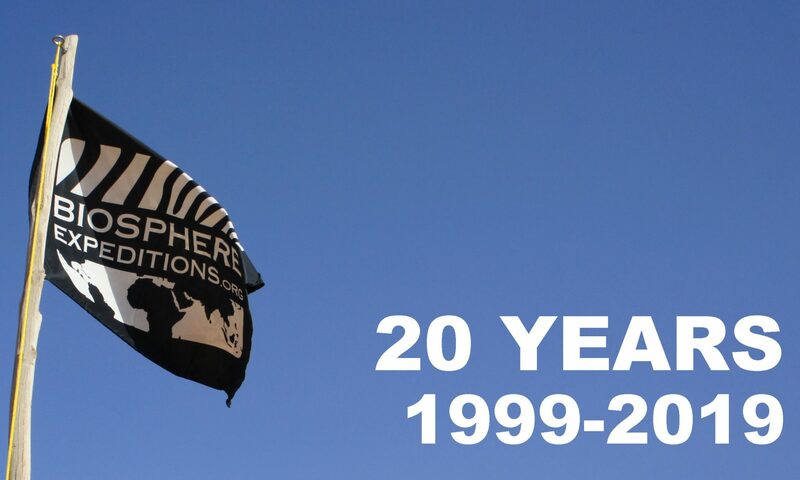 Please e-mail me on info@biosphere-expeditions.org if you have a problem with this. If I do not hear from you, I will assume an 08:00 start is fine with everyone and I will confirm this in another diary entry closer to the time. Secondly, I will also confirm my local phone number closer to the time, when I have arrived in Dubai to set things up, which should be a couple of days ahead of you. Other than that, we are getting ready here at Biosphere Expeditions and all flights and transfers are booked, equipment is purchased, etc. I hope your preparations are going well too. Please do not forget to swot up on Reef Check (see your dossier for details)! The more you can do now, the easier the first two days, which are crammed with lectures and tests before we allow you to collect data, will be for you, so time invested beforehand is time well spent. I’ll be back in touch from Dubai, if not before, with other updates.